The ADA Recruitment 2018 Notification is out for 24 Project Assistant-1 Vacancies. Recently the Aeronautical Development Agency released a notification to fill the capable candidates for Project Assistant-1 Vacancies. In this page, we are sharing complete information on ADA Recruitment 2018. Applicants can fill the application form and submit before 10th January 2018. All the important information such as Education Qualification, Age Limit, Application Fee, Selection Process, Salary Details, How to Apply Steps are provided in the below section. So, follow this web page and apply for ADA Jobs 2018 before the last date. Now all the interested aspirants can start to apply for ADA Project Assistant-1 Recruitment 2018. A new employment notification is released by Aeronautical Development Agency to fill up talented candidates for 24 Project Assistant-1 Vacancies. Candidates who are interested in Project Assistant-1 Jobs they can use this opportunity and apply for ADA Recruitment 2018. The Aeronautical Development Agency is receiving the online application forms from 26th December 2017 to 10th January 2018. The required educational qualification for ADA Vacancies 2018 is must possess their graduation in B.E/ B.Tech/ Electronics & Communication Engineering/ Computer Science Engineering/ Metallurgical Engineering with minimum 60% Marks. Job Seekers who are suitable for ADA Project Assistant-1 Recruitment 2018 must fill the form and submit it before 10th January 2018. As we all know that there is a heavy competition for Central Government Jobs. In order to overcome the competition level, all the students must prepare well for the selection rounds. The applied candidate’s selection process is based on Personal Interview. While reading this article applicants can find more information. Aspirants who met with the required eligibility criteria must grab this chance. The official website of Aeronautical Development Agency is www.ada.gov.in. Candidates who are applying for ADA Recruitment 2018 they must have required age limit. Applying aspirants minimum age limit is 28 Years and the maximum age limit is 33 Years. And the category wise age relaxation information is provided in the below section. Job Fighters who want to make their career in Central Government Sector must garb this golden opportunity and apply for ADA Project Assistant-1 Vacancies 2018. Go through the entire details and check whether you are suitable for ADA Jobs 2018 or not. The Aeronautical Development Agency (ADA) officials will only accept the application forms before the last date. Aspirants who send their application forms after the closing date the officials simply reject the application forms. So, without getting any late read this page completely and apply for ADA Recruitment 2018. Candidates can apply for ADA Project Assistant-1 Jobs 2018 through online mode. On this page, we are providing complete and clear stuff about ADA Project Assistant-1 Jobs 2018. Grab this wonderful opportunity by applying for ADA Recruitment 2018 Notification. Candidates must refer the official notification and check application fee details. More details read the complete article. 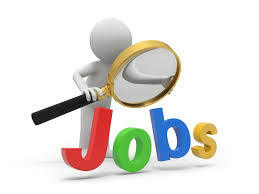 Stay tuned to our website SarkariRecruitment.com and check more Government Job Updates. Suitable candidates download the application form and submit before the last date that is 10th January 2018. The Aeronautical Development Agency (ADA) has circulated a new advertisement to fill up 24 Project Assistant-1 Vacancies. Job Seekers who are eagerly looking for Central Government Jobs must use this chance and apply for ADA Recruitment 2018. To hire the talented candidates into their organization the ADA officials are going to conduct the Personal Interview. Applicants who perform well in the personal interview round they will get a job in Aeronautical Development Agency. After completion of selection process applicants who got selected for Project Assistant-1 Post, they will receive Rs. 25,000/- + HRA. There are no other rounds after the personal interview. The Aeronautical Development Agency (ADA) is offering good pay scale as per the norms. Bookmark this page and check more information about ADA Project Assistant-1 Recruitment 2018. Willing aspirants who are curious about ADA Recruitment 2018 Notification can refer this page and get complete information. Applicants can also refer the official website of Aeronautical Development Agency (ADA). Aspirants who are suitable for ADA Recruitment 2018 don’t miss use this opportunity. Applicants can click on the below link and download the official notification. We suggest all the candidates perform well in interview rounds and crack a job in Aeronautical Development Agency (ADA). Applying candidates must possess B.E/ B.Tech/ Electronics & Communication Engineering/ Computer Science Engineering/ Metallurgical Engineering with minimum 60% Marks or 6.75 CGPA and a valid GATE score (2016/2017). The General Category Candidates Maximum Age Limit is 28 Years. For OBC Category the Maximum Age Limit is 31 Years. And the Upper Age Relaxation For SC/ ST candidates is 3 Years. The Aeronautical Development Agency is going to conduct the Personal Interview for applied candidates. Better to refer the official notification and check application fee details. Aspirants who are selected for 24 Project Assistant-1 Jobs they will get Rs. 25,000/- + HRA. The Starting Date To Fill The Online Application Form: 26th December 2018. The Closing Date For Submitting the Online Application Form: 10th January 2018. Open the official web portal of Aeronautical Development Agency at www.ada.gov.in. On the Home Page Find for ADA Recruitment 2018 Notification for 24 Project Assistant-1 Vacancies. Now open the notification and refer the complete information carefully. Fill the information in mandatory fields. Applicants can grab complete information about ADA Recruitment 2018 in the above section. Before filling the application form better to check the entire details. Aspirants can view the exam results on Sarkari Result. Make use of the above provided information and apply for ADA Project Assistant-1 Recruitment 2018. Sir, I’ve applied for the job but in revert I didn’t get any confirmation of submitting the online form.